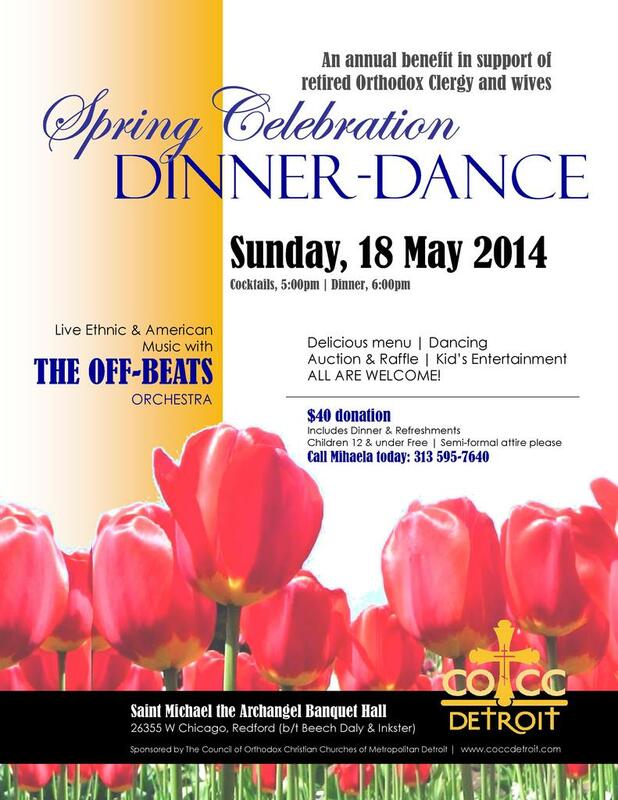 Join us for dinner, dancing and fellowship at this annual benefit event to be hosted this year at St. Michael the Archangel Banquet Hall, 26355 West Chicago Rd. (between Inkster & Beech-Daly) in Redford. 5 p.m. Cocktails / 6 p.m. Dinner; dancing with "The Off-Beats" live band; Auction & Raffle; Balloon-Man Clown & other children's entertainment. $40 Donation adults; free for children 12 & under. Proceeds to benefit local retired priests & clergy widows.